A binaural recording, headphone listening recommended. 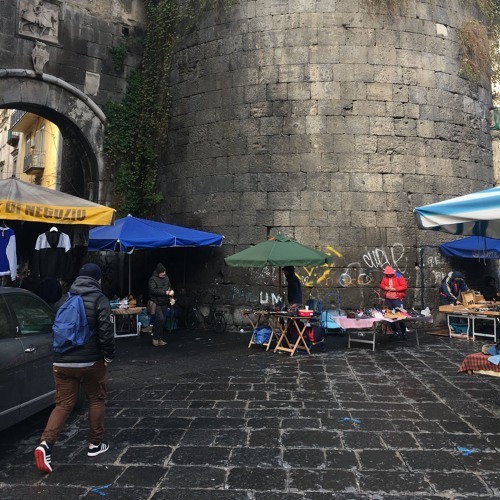 I walk around the market at Porta Nolana, past a table selling CDs blasting the song "P' Secondigliano" by Geôlier and Nicola Siciliano, witness someone play fighting with a dog, and then walk down a side street of the Mercato neighborhood. Useless Sounds is a weekly series by Joseph Sannicandro, sharing short, unprocessed field-recordings.